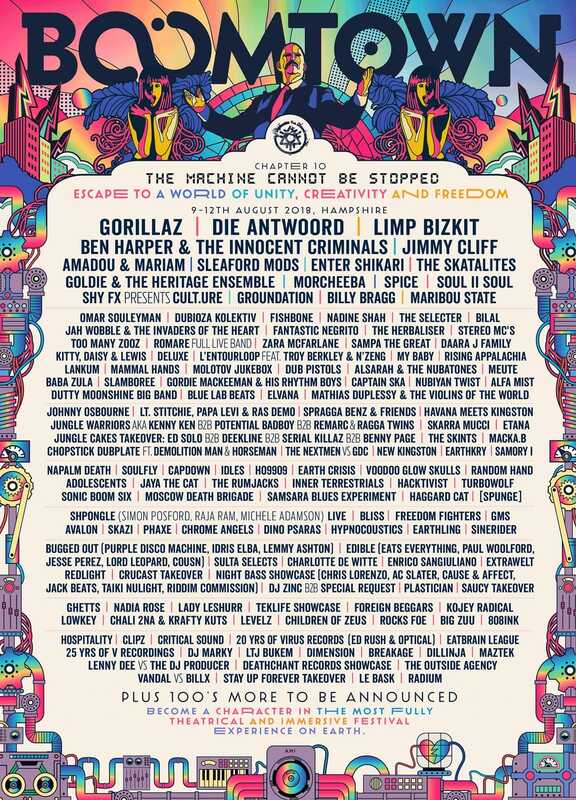 Joining the Gorillaz 2018 UK exclusive headlining slot are South African trio Die Antwoord, ‘Rollin’ rap-rockers Limp Bizkit, three time Grammy winner Ben Harper & The Innocent Criminals, returning Godfather of reggae Jimmy Cliff, soulful vocals and African polyrhythms from Amadou & Mariam, downtempo trip hop from Morcheeba, and anti-austerity punk music from Sleaford Mods, seamlessly mirroring our own immersive storyline and political undertones; plus over 200 more acts across the 27 ‘main’ stages, nine theatrical districts and forest parties on this initial release. This headliners release covers a mere selection of the acts that can be found on nine of our 27 main stages. Sattamann b2b Paulo aka Real Roots will be performing. Stage, day & time TBA!